04_15_2019 Last Call for Golf, Event Photos & More! 04_08_2019 Rain, rain go away, the Chamber Breakfast is Wednesday! 04_01_2019 It's No Joke - Chamber News, Events & More Inside! 02_18_2019 Event photos, Chamber Golf Classic Registration & More! 02_11_2019 Breakfast This Wednesday, Award Winners & More! 02_04_2019 Your Weekly Update from the Niceville Valparaiso Chamber! 01_28_2019 Happy Monday From The Chamber! 01_21_2019 Annual Dinner Registration Info, Event Photos & More! 01_14_2019 Your Weekly Update from the Niceville Valparaiso Chamber! 01_07_2019 Breakfast This Wednesday, Annual Dinner Information & More! 12_31_2018 Happy New Year from the Niceville Valparaiso Chamber! 12_24_2018 Merry Christmas from the Niceville Valparaiso Chamber! 12_17_2018 Chamber Event Photos, Annual Dinner Info & Other Upcoming Events! 12_10_2018 Chamber Breakfast This Wednesday, Event Photos & More! 12_03_2018 Sequins & Suits Photos, Chamber Events & More! 11_26_2018 Last Chance for Sequins & Suits Tickets, Upcoming Events & Save The Dates! 11_19_2018 Sequins & Suits Ticket Info, Chamber Event Photos & More! ​ 11_12_2018 Breakfast This Wednesday, Upcoming Ribbon Cuttings & More! 11_05_2018 Upcoming Chamber Events, Photos and More! 10_22_2018 Business After Hours This Week, Chamber Photos & More! 10_15_2018 Breakfast Rescheduled To This Wednesday, Hurricane Donation Drop Off Points & More! 10_08_2018 Weekly Newsletter: Breakfast This Wednesday, MAC Social Pics & More! 10_01_2018 Weekly Newsletter: Chamber Events, Updates, Pictures & More! 09_17_2018 Weekly Newsletter: Chamber Events, Updates, Pictures & More! 09_10_2018 Weekly Newsletter: Breakfast This Week & Other Chamber Happenings! 09_03_2018 Weekly Newsletter: Happy Labor Day from the Niceville Valparaiso Chamber! 08_27_2018 Weekly Newsletter: Business After Hours Tomorrow and other great Chamber news! 08_13_2018 Weekly Newsletter: Chamber News, Upcoming Events & More! 08_06_2018 Weekly Newsletter: Breakfast Wednesday at NWFSC & More Upcoming Chamber Events! 07_23_2018 Weekly Newsletter: Business After Hours Tomorrow, Civic Inductees & More! 07_09_2018 Weekly Newsletter: Chamber Breakfast this Wednesday, Civic Hall Info & More! 07_02_2018 Weekly Newsletter: Happy 4th of July from the Chamber! 06_25_2018 Weekly Newsletter: Business After Hours Tuesday, Civic Hall Registration Info & More! 06_18_2018 Weekly Newsletter: Chamber Award Winners, Upcoming Events & More! 06_11_2018 Weekly Newsletter: Breakfast This Week & Other Chamber Happenings! 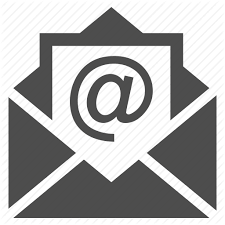 06_04_2018 Weekly Newsletter: Civic Hall Nomination Information, Upcoming Events & More! 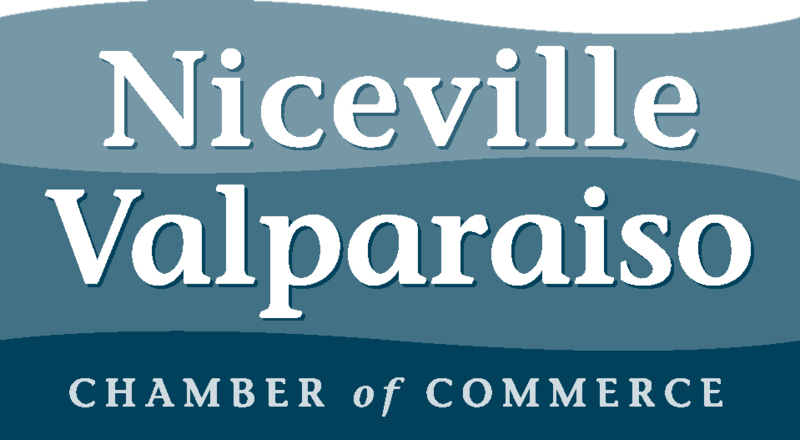 05_28_2018 Weekly Newsletter: Weekly Update From The Niceville Valparaiso Chamber of Commerce! 05_21_2018 Weekly Newsletter: Deer Moss Creek After Hours TOMORROW, Events, Pictures & More! 05_07_2018 Weekly Newsletter: Breakfast Wednesday, Shout Outs, Pictures & More! 04_23_2018 Weekly Newsletter: Upcoming Chamber Events, News & More! 04_16_2018 Chamber News for you! 04_09_2018 Breakfast This Wednesday, Golf Info, Pictures & More! 04_02_2018 Photos, Upcoming Events & More! 03_26_2018 After Hours Tomorrow at RBCC, Photos, Upcoming Events & More! 03_19_2018 Shout outs, Photos, Upcoming Events & More! 03_12_2018 Breakfast this Wednesday, Photos, Upcoming Events & More! 02_19_2018 Happy Presidents' Day from the Niceville Valparaiso Chamber! 02_12_2018 Breakfast Wednesday, Shout Outs & More! 02_05_2018 Annual Awards Winners Announced, Event Photos & More! 01_29_2018 Congrats! 2018 Chairman, Gordon King, Okaloosa Gas District & Board! 01_22_2018 Don't Miss Out - Last Chance for Annual Awards Dinner Tickets! 01_15_2018 Chamber Photos, Annual Dinner Registration Info & More! 01_08_2018 Chamber Breakfast Wednesday Committee Chairs Announced & More! 01_01_2018 Happy New Year from the Niceville Valparaiso Chamber! 12_25_2017 Merry Christmas from the Niceville Valparaiso Chamber! 12_18_2017 Chamber photos, shout outs and upcoming events! 12_04_2017 Happy December! Chamber Breakfast this Wednesday! 11_27_2017 Upcoming events: RBCS Gym Ribbon Cutting and more! 11_20_2017 Happy Thanksgiving! Upcoming events, photos and more! 11_13_2017 Tickets for Sequins & Suits on Thursday & Breakfast Pics! 11_06_2017 Breakfast on Wednesday, Auction Sneak Peek, and Pics! 10_30_2017 Auction Tickets on Sale, November Events & Pics! 10_23_2017 After Hours Tomorrow, Wine Tastings & Event Pics! 10_16_2017 Award Winner, After Hours and Event Pics! 10_10_2017 Chamber Breakfast Tomorrow and Cookout Pics! 10_02_2017 Greenlight A Vet, Sequins & Suits, and More! 09_11_2017 Breakfast THIS Week, Calendar Deadline & NYP Shout Out! 08_21_2017 After Hours on Tuesday, Video from Tricia, and Pics! 08_14_2017 Membership Drive Video, Pics & You Rock Award! 07_31_2017 Don't Miss August Events & After Hours Pics! 07_24_2017 Business After Hours - Tomorrow & CHOF Inductees! 07_10_2017 Breakfast THIS week, Pics, & Last Chance to Sign-UP! 07_03_2017 Keep it Local this July 4th! 06_26_2017 After Hours Tuesday, Award Winner, & LDL Pics! 06_12_2017 Breakfast Video, Nominations Due and a Ribbon Cutting this Week! 06_05_2017 DON'T MISS! Hall of Fame Nominations, Breakfast and More. 05_30_2017 Business After Hours Pictures and June Events! 05_22_2017 Business After Hours (Date Change) and News! 05_15_2017 You Rock and Breakfast Pics! 05_08_2017 Don't Miss Breakfast This Week! 04_17_2017 You Rock Award, Breakfast Pics and Chamber Events! 04_10_2017 Breakfast Video and Chamber News! 04_03_2017 Golf Video, Breakfast, and After Hours Pictures! 03_27_2017 Business After Hours, Map Ad Deadline, and Pics! 03_20_2017 Let's Do Lunch, Golf Video & Chamber News! 03_13_2017 Award Announcement, Golf Sponsorships, & Map Deadline! 03_06_2017 Breakfast Video, Pics & Chamber News! 02_27_2017 March Breakfast & Chamber News - Please Read! 02_21_2017 Golf Sponsorships & Award Nominations Needed! 02_13_2017 You Rock Winner, Breakfast & Business After Hours Pics! 02_06_2017 Breakfast, After Hours & Event Pics! 01_30_2017 Annual Awards Pics & February Events! 01_23_2017 Annual Awards, LDL Pics & Great Opportunities! 01_09_2017 Breakfast Video & Annual Awards! 01_02_2017 Chairman Video and Upcoming Events! 12_27_2016 MAC Pictures and 2017 Events! 12_20_2016 Merry Christmas - Video, Pictures and More! 12_13_2016 Breakfast & After Hours Pictures! 12_6_2016 Breakfast Tomorrow, Holiday After Hours & Auction Pictures! 11_29_2016 Sequins & Suits, Breakfast date, & More! 11_22_2016 Thanksgiving, Small Business Saturday, & Pictures! 11_15_2016 Wine Tasting & Breakfast Pictures! 11_08_2016 Chamber Breakfast TOMORROW & Upcoming Ribbon Cuttings! 10_25_2016 Business After Hours TONIGHT & Hunter Phelps Concert Pics! 10_18_2016 Hunter Phelps Concert & Lots of Pictures! 10_11_2016 Breakfast Tomorrow & Ribbon Cuttings - THIS Week! 09_20_2016 MemberPlus, The Trifecta, and Event Pictures! 09_13_2016 Chamber Breakfast Tomorrow & Other Events! 09_06_2016 MemberPlus App & Chamber News! 08_29_2016 The Trifecta & Upcoming Events! 08_22_2016 Business After Hours Video! 08_15_2016 Candidate Forum & Other News! 08_08_2016 Second Wednesday Breakfast & August News! 08_01_2016 Event Pictures & Upcoming Events! 07_25_2016 Business After Hours & 60th Celebration Luncheon - THIS week! 07_11_2016 Second Wednesday Breakfast & Chamber News! 07_01_2016 Keep It Local this July 4th - Special Edition! 05_04_2016 Candidate Fair Other Chamber Events!